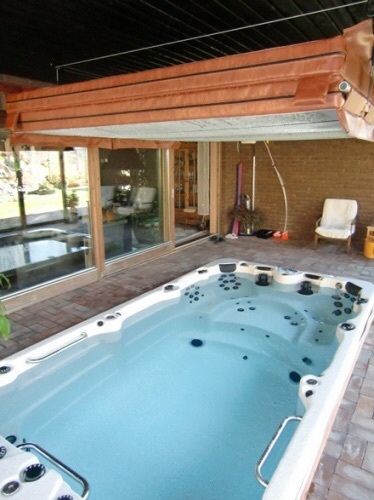 We advise you in the search of your ideal Hot Tub. We offer fully customized Spas. Choose the design of the hull, as well as its color and accessories. 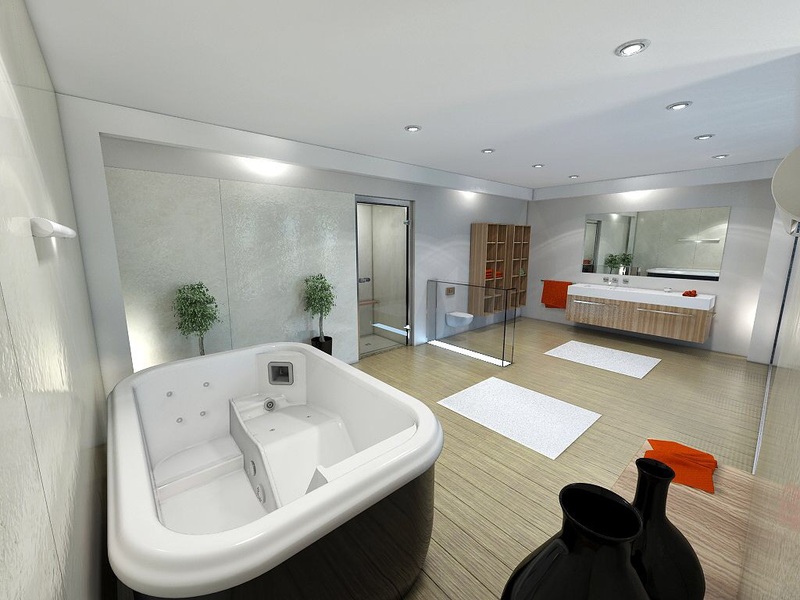 We also design and manufacture Platforms for Spas, with elegant and modern designs that will protect your Hot Tub and will allow its future maintenance. 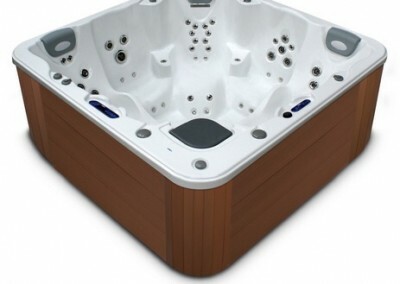 We have different Hot Tubs Models, which you can customize to your liking. Therefore, we need you tell us for how many people will be the spa, and the rest of characteristics you wish, and we will send you all our Spas that fulfil your characteristics. Fill the following form to send you all our models that suit your needs. Our team will help you with your proyect! 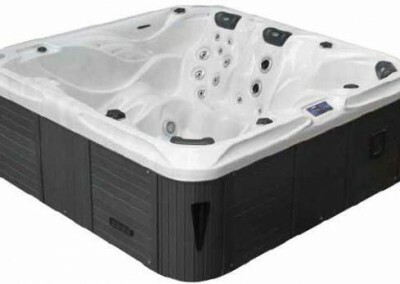 A jacuzzi is a whirlpool bath. 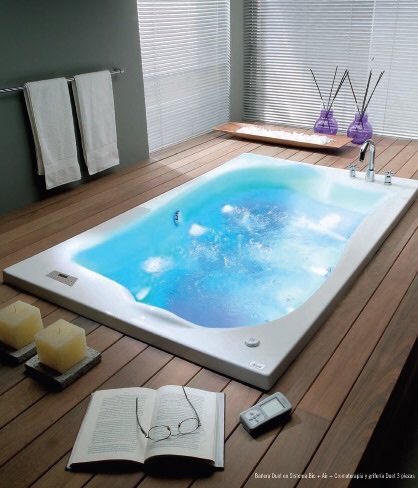 This bath consists of an engine that injects air when it is full of warm water, thereby provoking water bubbles that provides a soft and pleasant massage. Invest in your health and well-being. Discover the wide range of benefits that a whirlpool spa offers with your family and friends. Are all the spas/jacuzzis the same? Absolutely not. 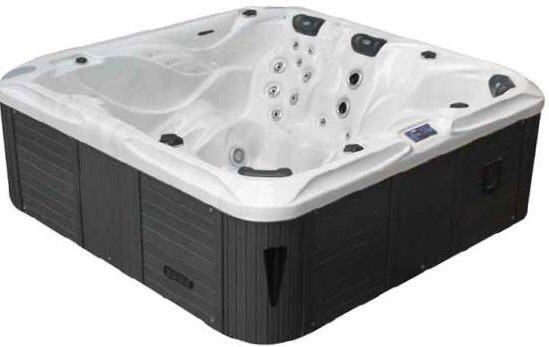 In Saunabrick we offer several spa lines, and there are different whirlpool models among them. In addition, with Saunabrick you will be able to personalize the chosen model thanks to our team of designer and artists. 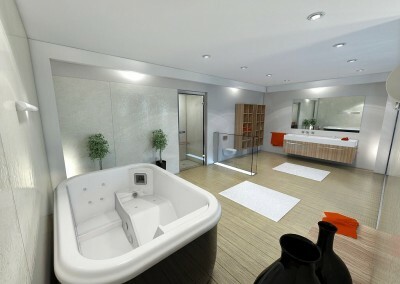 Show us your design and let us give you some advise about the personalization of your spa. How does the spa/jacuzzi work? The water reaches a temperature of approximately 38° C and it is pressed out through several pipes that can be regulated and oriented to the different parts of the body. They combine water and air in order to carry out the hydromassage that will leave you as good as new. What are the benefits of a spa/jacuzzi? It helps you prevent diseases such as anxiety or stress, as well as insomnia. It helps you relieve physical and muscular aches. It reduces arthritis. It helps the joints relax and as a result it helps to soothe pain and inflammation. It eliminates toxins. It leaves your skin much cleaner and purified. It increases your circulation. It stimulates the blood flow through your body. What are the differences between a jacuzzi and a spa? 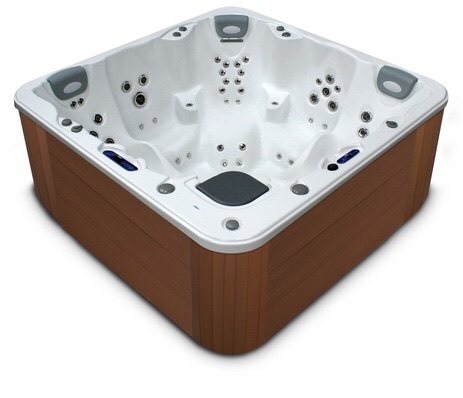 In the 1960s and 70s, jacuzzi were great open-air bathtubs made of wood like cedar and redwood. The bathtubs had boilers and propellants. 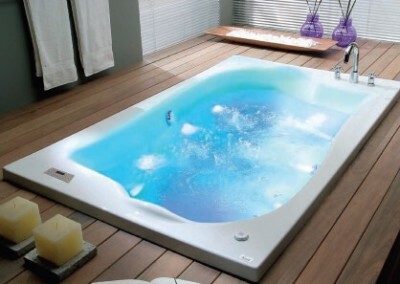 In the end, the designers started to use molded acrylic to build the jacuzzi and they began to call them spa. Both terms are interchangeable.